The Clinique 2-in-1 Cleansing Micellar Gel + Light Makeup Remover is a dual-phase treatment that effectively removes all traces of makeup and impurities in one simple step. Suitable for all skin types, including even the most sensitive, the ultra-lightweight, gel-textured formula breaks into water to gently cleanse skin from daily dirt and grime without feeling heavy. The complexion is left looking smooth and revitalised, with no left-over residue and no rinsing required. Fragrance free. Ophthalmologist Tested. Allergy Tested. 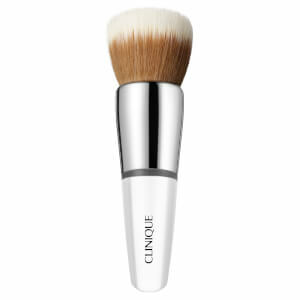 For face and lips, apply a quarter-sized amount with fingertips. Tissue off. For eyes, use cotton pad. No rinsing required.